The right spice blend makes the meal! What Would You LoveToKnow About Spices and Seasonings? 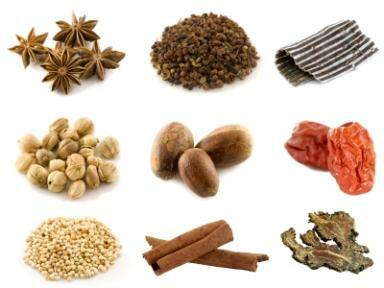 Spices and seasonings have been used around the world for thousands of years to improve the flavor of foods. From the spice trades to today's custom spice blends, no gourmet meal is complete without the inclusion of various seasonings. Whether you are an experienced chef hoping to create your own signature spice blend, or you're simply beginning to experiment with what spices can do to foods, LoveToKnow Gourmet is the place to get your information. Do you want to learn how to brine your own turkey? Or are you curious about what saffron tastes like? Spices and seasonings taken from around the world can add complex levels of flavor to any dish. Combine them with gourmet recipes and cooking techniques and your cooking is sure to stand out from the ordinary. By starting with ordinary ingredients such as salt and vanilla, and working your way through the different types of cinnamon, you'll begin to discover the power of spices in your cooking and how to give your dishes a signature twist of flavor. While you may not think of spices as something that can enhance your chocolate or your baking, the right spices and seasonings can highlight the sweetness of a dessert or the savory flavor of an entree. Learn to add a dash of salt to your sweets and a dash of cinnamon to your meats to contrast and highlight flavors. Experienced chefs know how to use contrast to heighten awareness, and you can do the same. Begin branching out into the world of spices, and watch all of your meals become elevated to the gourmet level.